We’ve travelled over two thousand kilometres to speak with communities who have benefitted from renewable energy or have been affected by fossil fuel pollution. When it comes to a Australia’s energy future, the communities we spoke with want more renewable energy. They want politicians to support the existing 41-terawatt-hour Renewable Energy Target. The Renewable Energy Target was a key driver behind the construction of the Capital and Woodlawn wind farms. Each year the wind farms generate enough electricity to power 83,000 homes and avoid 600,000 tonnes of greenhouse gases. 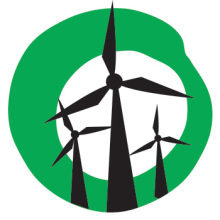 “The Renewable Energy Target has played a huge part in developing the Capital and Woodlawn wind farms,” said Marju Tonisson, communications coordinator at Infigen Energy. Renewable energy companies such as Infigen are ready to build new renewable energy projects, but only if the Renewable Energy Target remains as it is. 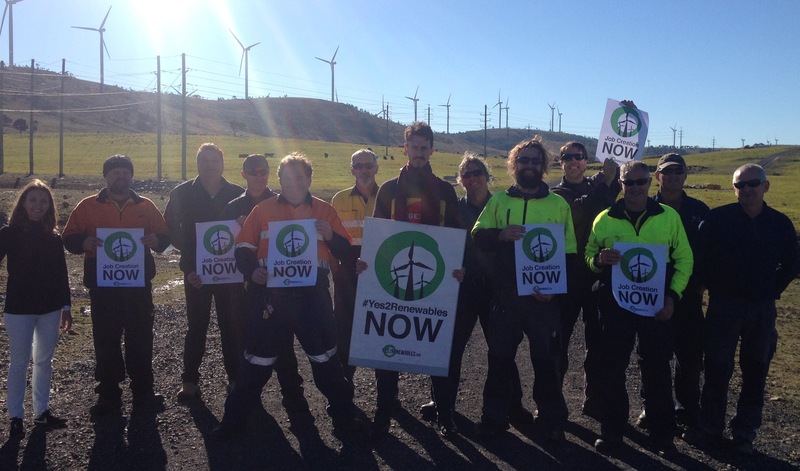 Friends of the Earth met wind turbine hosts, workers and small businesses working on renewable energy projects in the Southern Tablelands to discuss the future of the Renewable Energy Target. For wind farmer Brian Osbourne, the Renewable Energy Target has helped to diversify his business. Income from hosting wind turbines has helped the Osbourne’s look after the land, funding erosion control, weed control, and large-scale tree planting. Yet the Osbourne’s aren’t the only people who benefit from the wind farm. The renewable energy projects in the region have created jobs. The wind farm has also been a boon for indirect employment in the region. Small businesses awarded contracts from the sector are growing. “Due to the growth of renewables in the region we now directly employ 48 people. That means we’re supporting 48 families,” said John de Groote of Duvall’s earthmoving. This is the same story for Eddie Davis of Braidwood Ground Spraying who has conducts work for the wind farm. “The wind energy sector in this region allows us to employ ten people year around,” said Eddie Davis. As we’ve see throughout our RET Review Road Trip, renewable energy is a win-win for Australia. It’s a case when there’s alignment between good policy and good politics. Will Prime Minister Tony Abbott protect the Renewable Energy Target, jobs and investment? Will he respect the renewable energy aspirations of Australians? We’ll soon see. “We’ve travelled over two thousand kilometres”. So much for saving Co2 emissions and what did it achieve? It achieved about as much as simon chapmans idle threats to a senator.Nothing!!! !.Chapman is nothing but a paid wind muppet. It looks like Clive and clean energy could get the last laugh. Who’d a thunk it? Good post Leigh. Looks like the Clean Energy Corporation will survive, however it will be regulated to steer money away from a your beloved wind Blair to solar hot water and other less landscape destroying structures I would say this definitely is a win for the environment and those that see the uselessness of inland wind turbines.